Thirty beautiful women speaking for God…Christian Communicators Conference, 2014. When I speak for Stonecroft, the title of my speech is “Change Happens.” Throughout my talk, I remember specific changes that God brought into my life at various times, all of which He used to make me who I am today. Although change is hard, it is also that which keeps us alive and moving forward. If we were to do the same things, wear the same clothes, eat the same food, and on, and on, life would quickly become monotonous and lack purpose. Each change in our lives brings its own challenge. The biggest challenge for the most memorable changes in my life was whether I was going to embrace the change with God or rebel against God and refuse to allow it to change me. 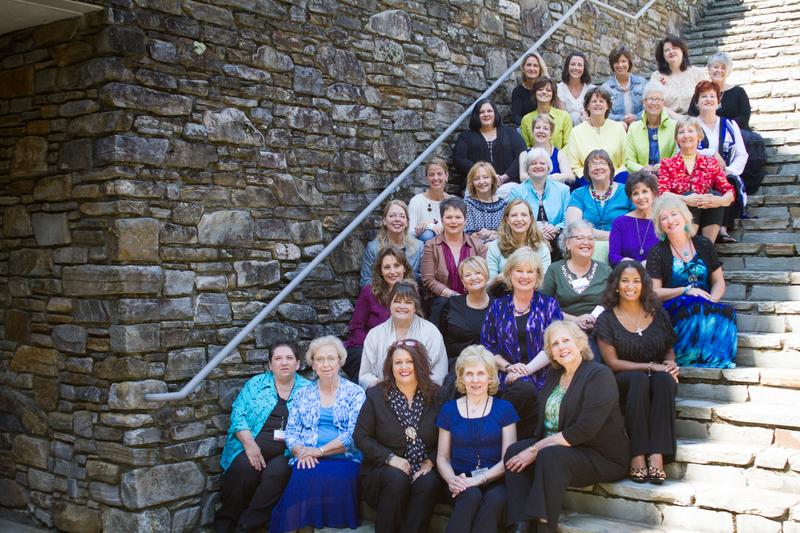 A few weeks ago, I got the call to join 29 other ladies just like me, to attend the Christian Communicators Conference at The Cove in Asheville, North Carolina. (www.ChristianCommunicators.com). My name had come up on the waiting list at the last minute and I had about a week to think about it before I took off on an eight hour road trip to my next big adventure. During the week I was there, I was expecting God to pour His Heart out to me and tell me everything He wanted me to do in the days ahead. Since I was so confident that He would, I even sat in my room one night alone, waiting for His sign. Oh, and of course, I reminded him that when I got home, life was going to get busy so He’d better talk while I was still! I waited, and waited, and waited…there was nothing. About the third day of utter frustration without a single word from God, I got it. Oh! This isn’t about me! This is about God! I realized at that point, that God has a plan and apparently there is going to be change down the pike for me. However, I only need to be obedient and follow where He leads at this point. Moses went on to plead once more for God to send anyone else but him! I don’t want to be like Moses. I want to do everything on this earth God has ordained for me to do. If I am to write, I will write. If I am to speak, I will speak…with fear and trembling, but I will speak. If I am to remain silent, I will…not saying that will be easy though! I know when God moves me to change, He has my best interest at heart. He doesn’t want me to be comfortable in my own abilities and plan. Rather, I think He delights in leading the way to the next new adventure! Is God speaking to you? Is it time for a change in your ho-hum routine? Even the most beautiful pond can quickly turn fowl and scummy when its water becomes stagnant. As I wait for The Lord’s direction as to what comes next, I would ask that you remember my ministry in your prayers. In turn, if you send me a message or make a comment, I will pray for you, too! We are all in this together! I am thankful for a God that is a God of change. He wants us to be ever-changing, ever-growing, into the person He wants us to be. Previous Trust The One Who Wants to Rescue You! Next God Speaks In Mysterious Ways…Even Through a Motorcycle! Lori, what a great opportunity you had at that conference!! This spoke to me today because tomorrow I leave for a retreat weekend. God is telling me to open my heart and soul, and then wait and listen. He may choose to speak through the speaker or someone attending the weekend or in the solitude of my room. He has told me on several occasions, “It’s not about you, Mary Lou; it is all about Me.” Your words remind me that whatever He says will be about how He wants me to serve Him. Yes it was, Mary Lou! I’m so glad you’re getting some time away as well. I am sure God has a blessing or two or three in store just for you! Enjoy! Hi Lori! Thank you for the info on this conference. I am interested in speaking one day, and I wondered if there were any groups that supported women in ministry that way. Change…no one likes the idea of that! But as you pointed out, staying static leads to bad things. I like your last idea. Trust. God knows what he is about, certainly more than me. I need to leave my life in the hands of the expert! Thanks for reading and commenting, Ceil. I would highly recommend this conference! It is a Spirit-lead week of God surprises! You will be glad you did!